Non-Municipal Exposures Help or Hurt a Bond Insurer? The bond insurance industry was devastated in the financial crisis of 2008-2009. The failure of almost all of the bond insurers was not a result of the municipal bonds they insured but was instead largely tied to the non-municipal exposures such as asset-backed securities (ABS) and collateralized debt obligations (CDOs). In this article, we examine why the insurers decided to insure these riskier assets and how non-municipal exposures changed bond insurers for the better. Bond insurers are known as monoline insurers. A monoline insurer only underwrites one line of insurance – in this case, bond insurance. Underwriting bond insurance requires substantial leverage. In other words, the amount of liabilities underwritten is much greater than the amount of assets available to pay claims. As a result of this leverage, being a monoline carrier is considered more creditworthy than not. Since bond insurers have to rely on credit ratings to provide value to the bond issuers they insure, monoline insurers stand to benefit compared to multiline insurers. Multiline insurers, such as State Farm and Allstate, insure multiple lines of insurance including auto, home and life. It is beneficial to diversify product mix as it helps to limit excessive exposure to just one line of insurance. Since bond insurers could not insure other lines of insurance, they chose to diversify their bond insurance business to cover non-municipal bonds, including ABS and CDOs. Although bond insurers cover multiple types of securities (municipal bonds, ABS and CDOs), today they are considered monoline because they currently only underwrite bond insurance. Non-municipal exposure caused almost all bond insurers to fail, but there were reasons that prompted these insurers to take that additional risk. Prior to the financial crisis, bond insurers were searching for ways to increase their return on equity. The low default rates of municipal bonds meant that issuers wouldn’t pay much to insure their bonds since the risk of default was so low. 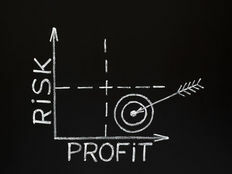 In 2006, bond insurers were earning just 10 basis points or $100,000 for every $1 million of debt service they insured. With the approval of regulators and credit rating agencies, bond insurers were allowed to cover ABS securities in the 1990s. Insuring these types of securities earned higher premiums than municipal bonds. Seven of the nine bond insurers drastically increased their exposure to ABS and CDOs leading up to the crisis. The Great Recession caused losses on the CDOs so severe that the firms with high exposure to them were forced out of the bond insurance business as a result of either bankruptcy or credit ratings so downgraded they couldn’t underwrite new business. Assured Guaranty and FSA were the two insurers that chose not to take on substantial CDO risk, and these companies continued to operate and eventually merged. The failure of nearly all the insurers during the crisis forced the industry to return its focus to the municipal market. Understanding just how much exposure the insurers had to non-municipal liabilities puts things into perspective. This 2013 study provides an analysis of the amount of exposure insurers had to non-municipal debt prior to the crisis. In 2007, over 80% of ACA’s insurance portfolio covered ABS securities. MBIA had 60% exposure and FSA had just under 30%. In addition to the high exposure to non-municipal debt, the insurers were highly levered. This 2012 research published in the Journal of Applied Finance revealed that Ambac had $30 billion of subprime exposure, while MBIA had $22 billion. However, both companies only had about $6.5 billion worth of qualified statutory capital. FGIC, CIFG and XL had subprime exposure that was even higher. Today, most insurers have stopped underwriting non-municipal debt completely and, because of better underwriting disciple, have strengthened their financial conditions. Assured Guaranty was the sole survivor of the financial crisis and is the only insurer to have exposure to non-municipal debt. Assured underwrites U.S. municipal bonds through three subsidiaries (AGM, MAC and AGC) and has other subsidiaries that participate in European markets. Assured Guaranty Municipal (AGM) guarantees U.S. municipal bonds and international infrastructure debt. The vast majority of their insurance portfolio remains in U.S. municipal bonds; however, the other 23% is in non-municipal debt from legacy structured finance or non-U.S. public finance. Assured Guaranty Corp. (AGC) acquired and merged with two of the insurers that existed before the crisis – CIFG and Radian. In addition to U.S. municipal bonds, AGC is an active underwriter of structured finance securities, including ABS. For AGC, U.S. municipal bond exposure currently stands at around 51%, while non-U.S. municipal bond exposure is at around 36%. Assured’s consolidated leverage, including all subsidiaries, as measured by statutory net par liabilities to total claims-paying resources, has fallen every year since 2010 and stands at 22×. This puts the company in a better position to pay claims, if and when there are defaults. Build America Mutual (BAM) emerged in 2012 to compete with Assured following the crisis. BAM and MAC are very similar in that they both only insure investment-grade U.S. municipal debt. BAM’s unique structure as a mutual company means the bond issuers, as policyholders, are the owners of the company. The absence of shareholders places less pressure on BAM’s management to boost returns by taking on more risk as insurers did before the crisis. At present, BAM has the highest exposure to G.O. bonds (across school districts, cities and counties), followed by utilities, special district and transportation muni bonds with 82% of the debt rated A- or higher. National Public Finance Guarantee, a subsidiary of MBIA, was recently downgraded by S&P and, as a result, ceased underwriting new business. Despite the downgrade, it is clear National is in much better shape based on their lower leverage and lower exposure to non-municipal debt. The chart below shows how things have changed for National since it was MBIA in 2007. National insures 100% public finance (municipal) debt and has cut their leverage ratio substantially from 119x to 29×. The irony is the old MBIA was rated AAA with higher leverage ratios yet the highest-rated bond insurer today is rated AA. Insurers are no longer rated AAA but they are in a much better financial position with lower overall leverage and better claims-paying resources. Here are a few points to consider when evaluating bonds with insurance wraps. Avoiding Non-Municipal Exposure – With the exception of AGC, insurers have prudently stopped underwriting ABS and other structured products as they have realized the risk is not worth taking. By choosing bonds with BAM or MAC wraps, you can be sure the insurer is purely a municipal bond underwriter. Focus on Investment Grade – Insurers have made investment-grade municipal bonds their focus. BAM and MAC do not underwrite bonds rated below investment grade. AGM and National have some exposure to Puerto Rico bonds that were downgraded below investment grade or are in default. 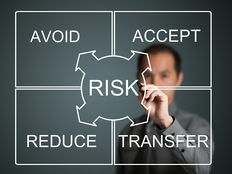 By choosing to insure investment grade bonds, insurers can further decrease the risk of claims. Improved Claims Paying Resources – By decreasing their leverage, insurers have improved their ability to cover defaults when they arise from time to time. The recent default of Puerto Rico is an excellent example of how insurers are able to protect bondholders by making payments when the issuer fails to do so. 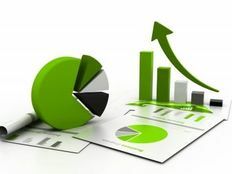 Higher Investment Income – Insurers benefit when they are able to invest at higher interest rates and, thus, increase the income from their investment portfolio. Higher investment income provides more liquidity to pay claims and offset underwriting costs, which, in turn, can lead to lower insurance premiums for bond issuers and investors. Bond insurers have improved considerably since the financial crisis. Their focus has returned to underwriting municipal bonds and moved away from the structured products that got them into trouble before. The result is a stronger financial guarantee. With improved balance sheets and lower leverage, insurers are better prepared to meet their obligations to pay claims. These positive trends are a benefit to all participants in the insured portion of the municipal market.